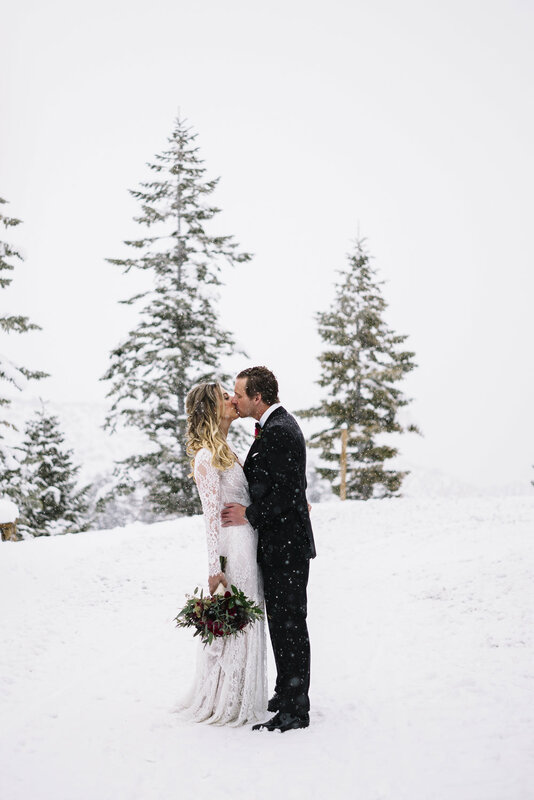 A romantic Colorado winter wedding inspires dreams of fairytale snow, twinkle lights, steaming spiced drinks, and a crackling fire. 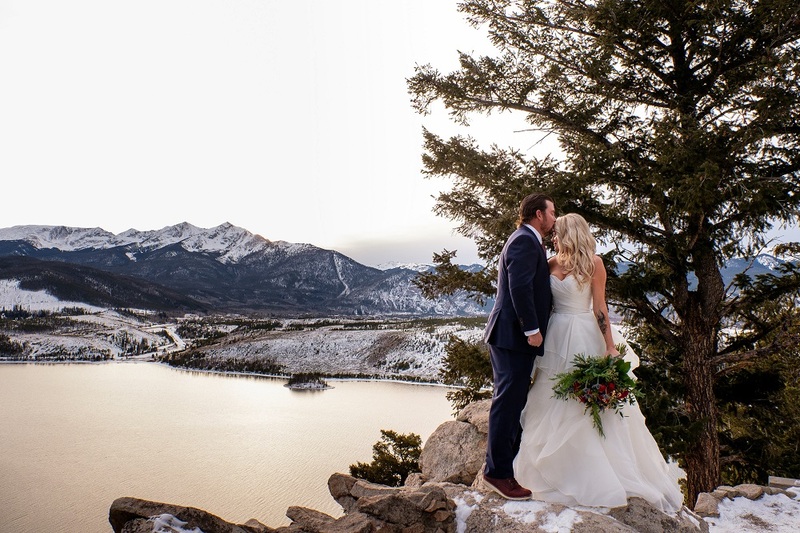 My clients travel from all over the United States to be married in Colorado, and they’re drawn by the allure of the majestic mountains and pristine landscape. 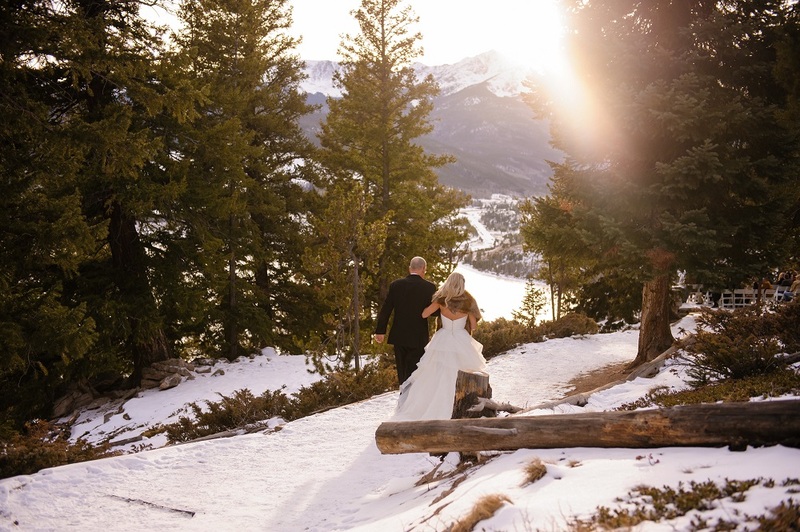 Colorado’s brilliant autumn foliage, epic snow covered peaks, and ever-changing vistas are an ideal setting for one of the most special days of your life. 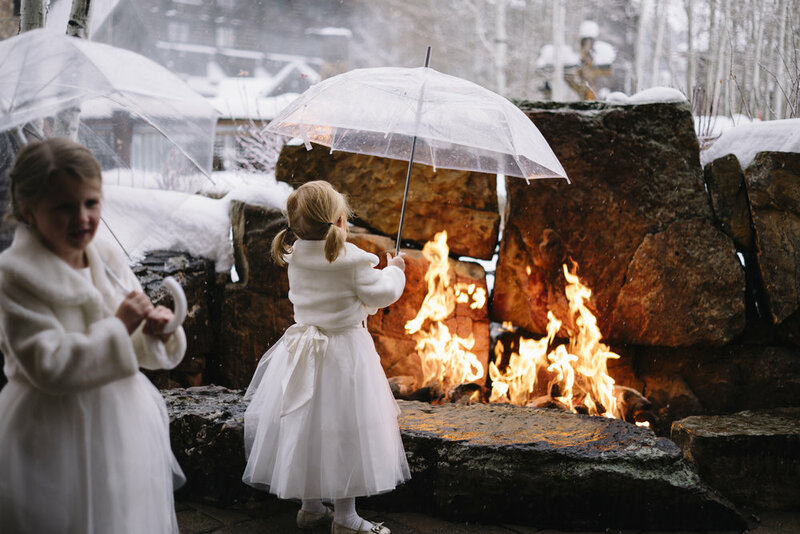 Live music adds the perfect warming touch to any winter wedding. 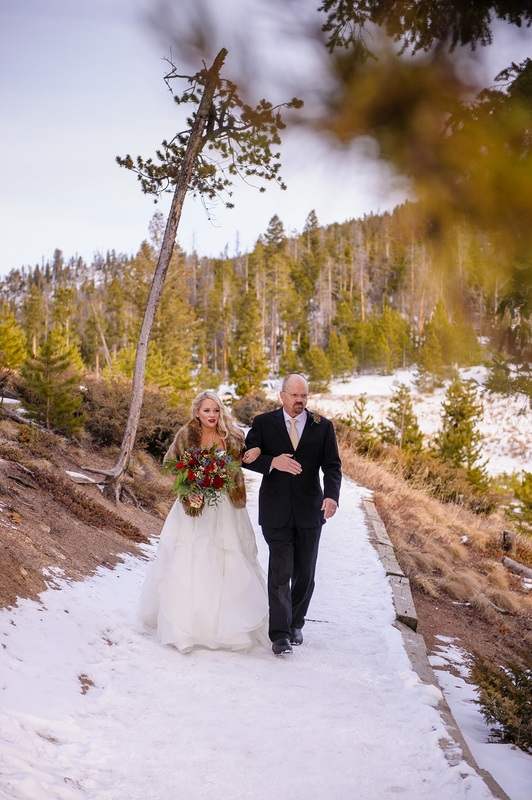 If you’re looking for musicians to play for your winter wedding, you may have discovered that it’s difficult to find musicians who will agree to play outdoors when the weather is cold. In fact, most musicians won’t play if the temperature is below 55 or 60 degrees Fahrenheit. Are musicians being overly particular, or are there legitimate reasons for their specific temperature requirements? 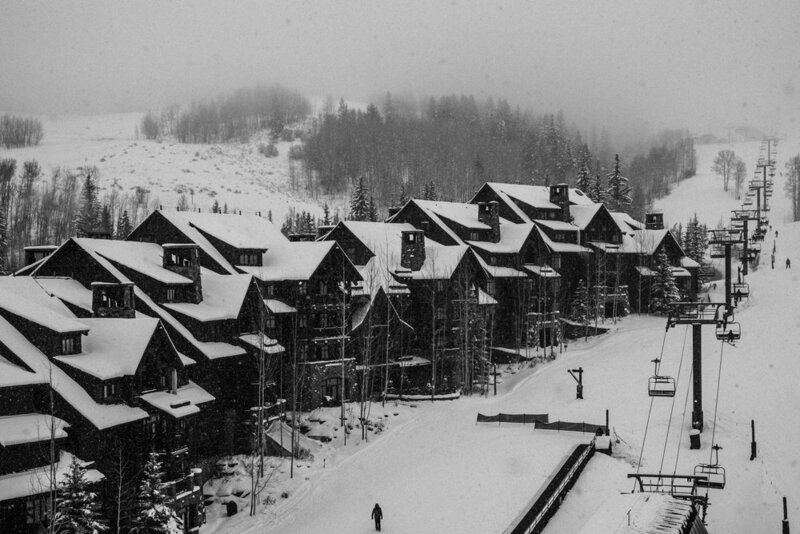 What is it really like for a musician to play outdoors in the winter? As both a flutist and a cellist, I decided to test out the claims that live music couldn’t (or shouldn’t) be performed outside in the cold, and I dedicated the winter of 2017 to my experiment, which culminated in playing my flute for an outdoor mountain wedding in the middle of December. I wanted to see exactly what would happen to me, my flute, and my cello! I uncovered the challenges to playing outside in cold weather and discovered a number of helpful tips for musicians who will be playing outside in the cold. I also put together a list of tips for the wedding couple who is planning to have live music for their outdoor winter wedding ceremony. As winter began to arrive, I decided to play both my flute and cello outside every day for 15 minutes. At first it was easy, and I enjoyed the time outside, looking at the mountain view in my backyard. The temperatures started to drop as winter approached, and I found that I needed to start wearing my winter coat. My fingers were quite cold, but I was able to play until one day that was in the upper 40’s. I was playing cello, but my winter coat was bulky and it made my movements difficult. My fingerless gloves were also too bulky to wear while playing, and the icy cold metal cello strings felt sharp and unpleasant under my fingers. Without a warm coat or gloves, my fingers went completely numb from the cold and the metal strings after about five minutes. I couldn’t feel the strings any longer and my fingers became quite stiff from the cold, which impeded movement. The result was a rather clunky sounding version of “Frosty the Snowman”. My fingers started to hurt from the cold, so I had to cut my playing time short. In addition to my own discomfort, the cello itself is a very delicate instrument, and sensitive to temperature and humidity changes. Outdoor performances in hot or cold weather can cause the wood of the instrument to crack or split, especially at the seams, and this has happened to my cello on occasion. Dry air, temperature changes, and temperature extremes can all be culprits. It’s also very difficult to play in tune on the cello in very cold weather, and I found this out in my experiment. When the weather turns cold, the strings on a stringed instrument contract. In contrast, the wooden part of the instrument expands and contracts in response to humidity. In cold weather, the instrument will go very sharp, and since the strings each contract at different rates, it's very difficult to keep a stringed instrument in tune in cold weather. When musicians have to play together in cold weather, their instruments will change pitch at different rates, so they not only have to stay in tune with themselves, but they have to stay in tune with the other musicians. In short, I found that playing my cello below the prescribed 55-60 degrees was very difficult for the listener’s ears, my cello, and myself. Playing my flute in the cold worked a lot better than cello. One magical day, I played outside (under my porch) during the first snow, and I felt like I was in a fairy land. My music was so beautiful coupled with the falling snow, and the temperature was still quite a bit above freezing. I was able to wear fingerless gloves while I played, and because flute requires smaller movements than cello, I could also wear my heavy winter clothes to stay warm. My fingers did go numb, but I was still able to play, and my flute sounded great! When the temperatures stayed above freezing with not too much wind, I enjoyed my outdoor sessions a lot. When it was time to play my flute for the outdoor wedding in the mountains, I was as ready! It was a short hike through the snow from my car to the wedding site. By the time the guests began to arrive, I had been outside preparing and waiting for about an hour. By the time I started playing prelude music, my flute was ice cold. Most people say to acclimate a musical instrument to the surrounding temperature before playing. This is true with a wooden instrument, but I found out the hard way that in really cold temperatures with the flute, this is a very bad idea, and that it’s best to keep your instrument as warm as possible. The icy metal of my flute under my fingertips combined with the brisk wind instantly stripped all remaining warmth from my fingers, and they went numb immediately. I kept putting them into my pockets, using my hand warmers to try to warm them up, but 5 minutes of playing to 10 seconds of warming wasn’t sufficient. After I had been playing for about 15 minutes, what had started out as a sunny day in the mid 30's quickly turned cloudy and windy, and the temperature dropped to below freezing. After 10 minutes of playing in below freezing temperatures, the moisture from my breath froze inside my flute, and it formed a layer of ice that started to thicken. Ice also collected under my keys, and they started to instantly freeze to my flute. There were certain notes that I couldn’t play anymore, so I did my best to avoid using the keys that were frozen to the flute. I changed flutes to my backup flute which was nice and dry in its case. Unfortunately, it had become so cold, that it only took 5 minutes for ice to form inside my backup flute as well. My lips started freezing to the metal a little, but they were warm enough to not completely stick. After the ceremony, I played for the recessional and then played some nice postlude music as photos were being taken. Towards the end, my fingertips were starting to feel comfortably warm, and I realized that they weren't actually warm, but that they were starting to get frostbite. After playing and packing up, I had been outside for 2 1/2 hours straight. 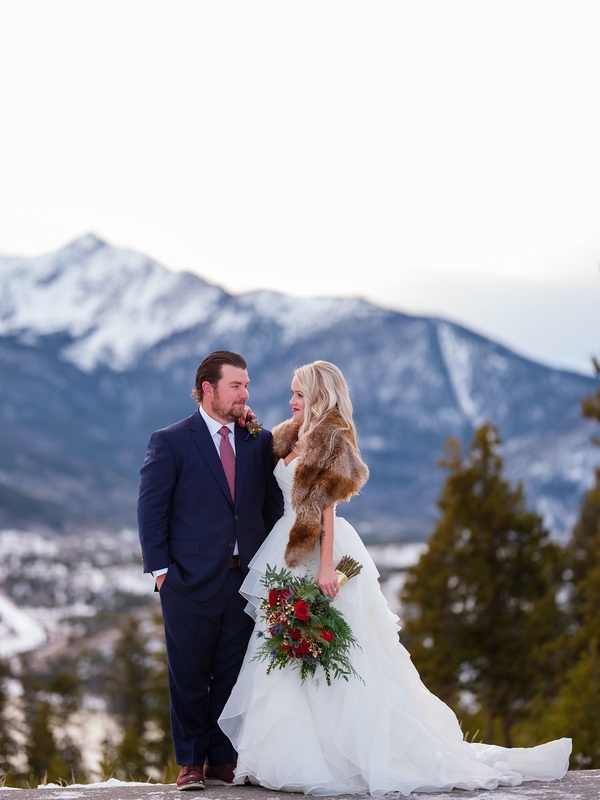 The setting for the wedding ceremony was truly a winter wonderland. It overlooked snow covered mountains and an evening lake. The fresh white snow crunched under our feet, and the bare dark tree limbs and green pines stood out against the white sky. My music added the perfect finishing touch to the ceremony, and gave the wild setting a touch of sophistication. I designed my music set list to celebrate winter and to help the guests feel warmer. The bride requested Christmas songs in addition to classical songs, so I playing songs like “Chestnuts Roasting On and Open Fire”, “Jingle Bells”, and “Winter Wonderland”. 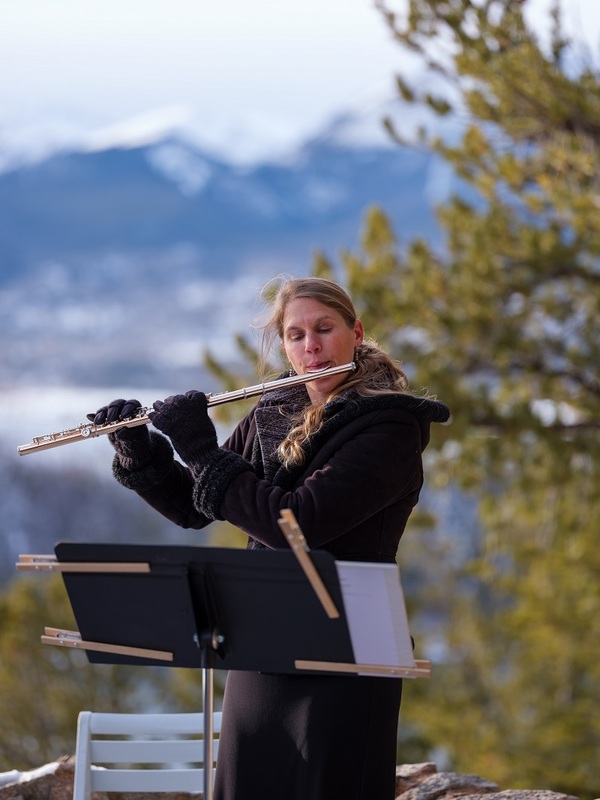 The three main challenges that I discovered with playing a musical instrument outdoors when the temperature is below freezing are frostbite, expensive instrument repairs, and a performance that’s not top quality. Frostbite: After playing for the winter wedding ceremony, my fingers were all in pain, and the pain lasted for a week. After that, the pain in one finger in particular continued for about three more months. I think that I had mild frostbite. Instrument Repairs: Our delicate musical instruments are handmade using materials that are very responsive to the environment around them. I had my professional flute repaired after that wedding, and the cost for the repair was almost $2000. The ice had cut into the delicate pads that are under the keys. The pads are what creates a seal when the keys are pressed. I had to replace all of my pads and do additional repairs as well. Performance Quality: Since some of my keys were frozen together, there were several notes that I could no longer play. With stiff fingers, I couldn’t play very fast pieces of music. Also, it wasn’t as easy to play long phrases when I was inhaling very cold air. Intonation (playing in tune) can also be a huge problem, although in my case, I had several guests compliment me on my great intonation. I was also impressed that these well-informed guests were talking about intonation. I concluded that the challenges for musicians playing outdoors in cold weather are very real, and it must be done with care. 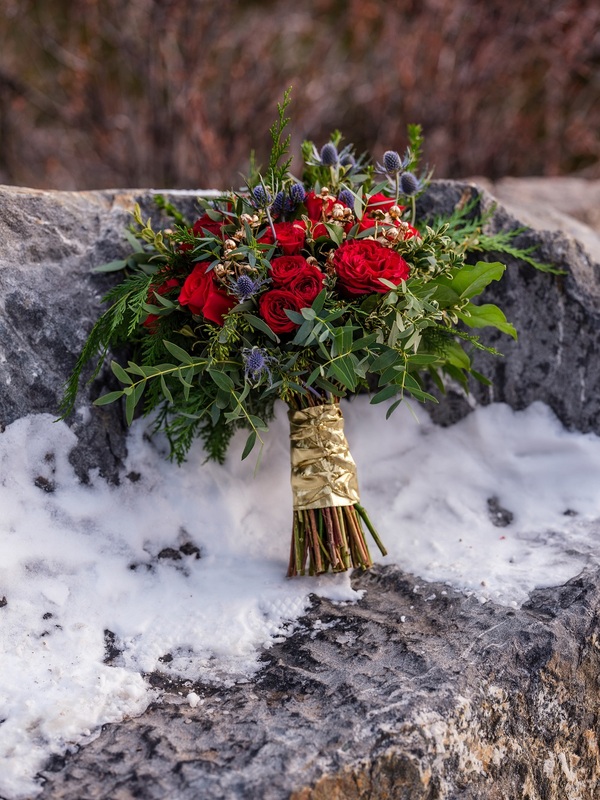 I also learned a number of very valuable tips for both musicians and clients to help make live outdoor winter wedding music a better success. Take time in advance to look at average temperatures, weather, and what kind of shelter or heat sources there will be. To avoid expensive instrument repairs, have a backup instrument (or two in my case) ready to play in case of inclement weather. Wear lightweight full coverage under-clothing, and avoid wearing bulky clothing as much as possible. Wear the warmest clothes that you are able to wear while play your instrument. If your body is warm, your extremities will be more likely to stay warm. Be careful not to overdress, but wear layers that you can adjust as needed. Arrange to play next to a warm gas patio heater if possible. If it’s very windy, the heater can still help a lot to re-warm your hands and your instrument between songs. Watch out for frostbite. It feels nice and warm when you’re getting it. When the temperature is near or below freezing, put hand warmers in your case and keep your flute (or non-wooden instrument) closed in the case until it’s time to play. Keep hand warmers inside your shoes and your pockets. Prepare them in advance so that they’re toasty warm when it’s time to play. For flute, plug the holes in the keys so that you won’t have to worry about having to cover them with numb fingers. If you want full coverage gloves, I found that cycling gloves work the best because they stop the wind, but they are very thin. They also have nice grips on the fingers. I added a small piece of electrical tape on each thumb to add more grip. The downside is that it’s harder to re-warm your hands between songs when wearing full coverage gloves. If possible bring the following items: hot drink in an insulated container, hand warmers, warm clothing (including warm shoes, hat, and gloves), and alternate instruments. Do quick aerobic exercises before the guests arrive to encourage good circulation. Play near a windbreak, or set one up for yourself. Just say “no” if you don’t think that you can do a performance that’s up to the quality that you and your potential client would want. 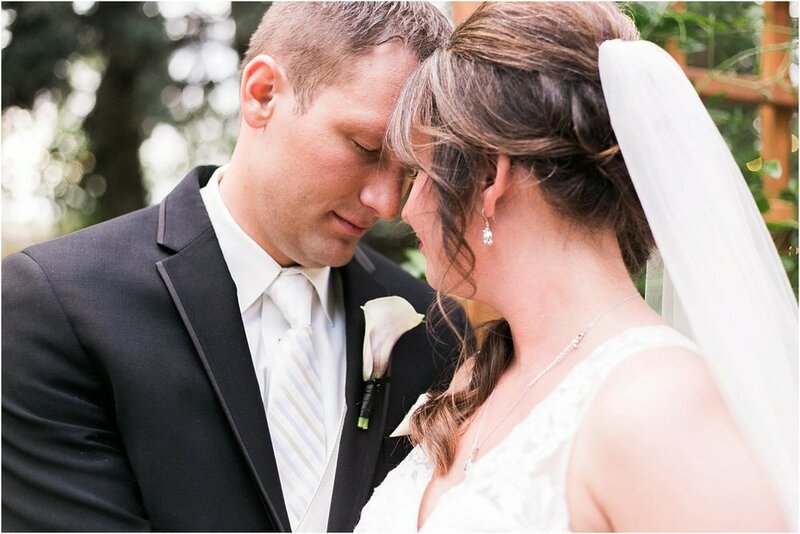 Know what the temperature averages are for the time of year and time of day of your wedding. Know what your limits are for the temperature and weather, and have a backup plan ready. Be flexible. It’s hard to know what to expect from the weather in Colorado. Be prepared for a very wide range of temperatures and weather conditions that can quickly change within minutes. Consider getting married indoors in front of large windows overlooking the winter landscape. If you want to be married outdoors, consider inviting your guests to mingle indoors with the live music, and have your guests and musicians move outside for just your ceremony. Have your wedding in a location where the musicians can play indoors and amplify their sound to the outside for your ceremony. Choose an outdoor wedding location that’s sheltered from the wind. Ask your musicians what their minimum playing temperature is. Discuss alternate plans with them in case it’s too cold for them to play outside. Provide your musicians with one or more gas patio heaters to help them stay warm in cold weather. Trust your musicians. If they say they can’t play outside if it’s below a certain temperature, then it’s for good reason. Featuring live music at your outdoor winter wedding is very romantic, and the music adds a feel of sophistication and warmth to the setting. After my experiment with playing outside in all kind of weather conditions, I concluded that playing a musical instrument in cold weather must be done with care because the challenges for the musician and the risks to the instrument are very real. As musicians, it’s important that we look out for our personal health and prevent our instruments from being damaged. Simply put, our instruments aren’t designed to be played in very cold weather, and neither are we. I also learned a number of tips for clients, and tips to help me with future performances in the cold, and what my limits are to do them safely. As professional musicians, my team and I really care about you and your wedding. We strive for the highest quality performance, and if our cold-numbed fingers prevent us from moving properly or if our instruments sound bad or go out of tune because of the cold, our performance quality will suffer. I always let my clients know our limits, and options for solutions before they book me. Then we can work together to find the solution that works best for my them, myself, and my team of musicians. 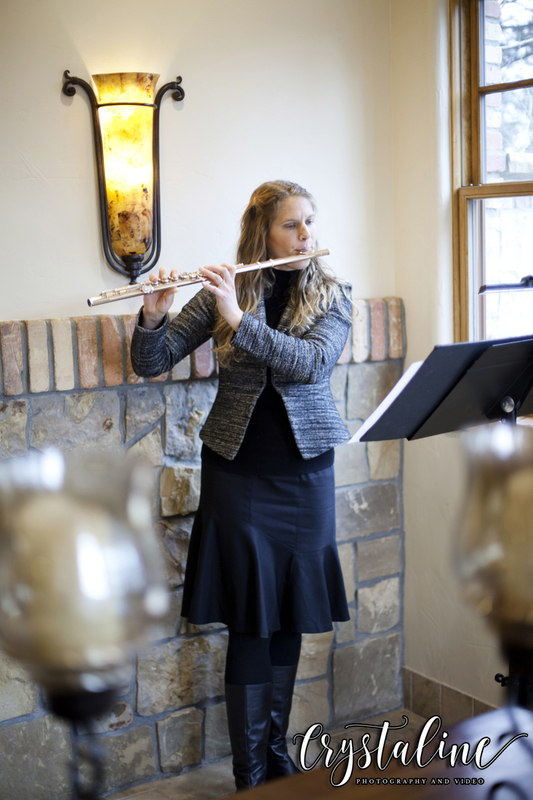 Photos courtesy of Ash Meier Photography This spring, my flute and cello duo headed up to the Tapestry House in Laporte, Colorado to play for an elegant wedding ceremony. The charming Queen Anne style Tapestry House is a delightful wedding location. The lush green lawns are highlighted with flowers and graced with mature shade trees that are dripping with elegant twinkle lights. Everyone enjoyed the shade under the trees as our duo played a selection of classical prelude music to set an elegant mood. The bride and groom chose processional and recessional songs to complement their traditional wedding ceremony. 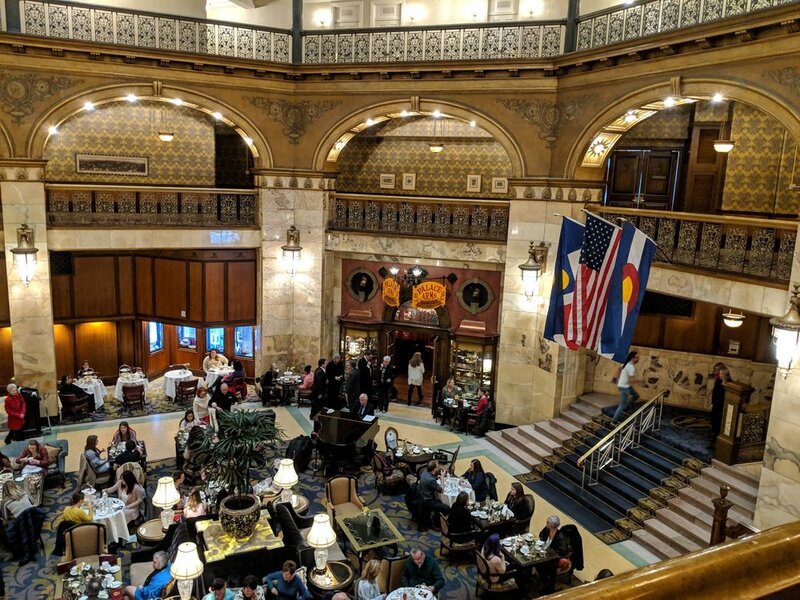 I first thought that the Tapestry House was a beautifully restored historical home, but upon reading the history of the home on the venue's website, I found out that I was mistaken. The house is authentic to the time period but was more recently built. This is because the original house had deteriorated so badly that it was dismantled. The owners carefully salvaged wood, brick, stone, and architectural elements from the original house and incorporated them back into the new Queen Anne Revival Victorian that now occupies the original house site. Featuring six different colors of paint, the Tapestry House is called a “Painted Lady”, which is a term that refers to homes from the late Victorian era that featured three or more contrasting colors of paint. Although the home is new it is such a remarkable reproduction of a Queen Anne Revival style Victorian home that the Poudre Landmarks Foundation has included it twice, since 2002, on its historic homes tour. 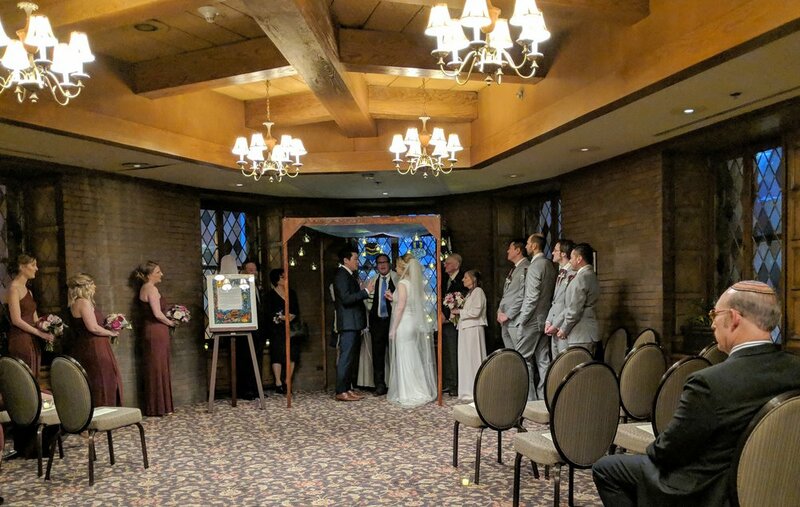 This past weekend in early March, I played flute as part of a quartet for a wedding ceremony and cocktail hour in Aspen, Colorado. It was a beautiful spring-like day when we headed up to Aspen and when we arrived there were many people skiing on the slopes enjoying the warm weather. We took the Silver Queen Gondola up to the sundeck on the top of Aspen Mountain where the wedding ceremony would take place. The bride chose to get married at sunset. It was chilly, sunny and windy on top of the mountain and the red and orange sunset was spectacular. When dusk fell it became very cold but the bride kept warm in an elegant fur capelet, and hand warmers were passed out to the guests. Our quartet was organized by A Touch of Class Music and it was made up of a flute, violin, cello and guitar. We played classical prelude music before the ceremony began. After the ceremony, everyone moved inside near the large fireplace where they warmed up and enjoyed drinks. We entertained the guests with a selection of jazz tunes.